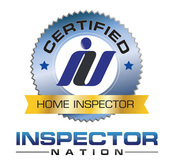 If you are in need of a home inspection by a fully licensed and insured home inspector, you have come to the right place. I provide radon, water, termite and septic inspections as well. One call takes care of all the inspections you need. Great service and informative reports are just a phone call away. If you have any comments, suggestions or questions please feel free to leave them on my contact page or you can call me anytime at 828-508-4815. Thank you for taking the time to look over my website and I look forward to inspecting your home. If you are buying or selling a house, it is a good idea to get a home inspection. As a buyer you can negotiate the purchase price based on what is found during the home inspection. If you are selling your house, a home inspection will make you aware of any items that may need correction before you put it on the market allowing you to get top dollar for your investment. I inspect homes in Haywood, Buncombe, Cherokee, Clay, Graham, Henderson, Jackson, Macon, Madison, Swain, Transylvania, and Yancey counties. No extra travel charge! PRICES ARE PER SQUARE FOOT. To inspect every component of the home, all of the utilities must be on. Licensed home inspectors are NOT allowed to turn any utilities on if they are off. This includes circuit breakers, shutoff valves (gas or water) and pilot lights. I do not know the circumstances for which they were turned off and would be responsible for any damages incurred by turning them on. All access panels and doors must be unlocked for a thorough inspection. A signed inspection contract is needed before a home inspection can be performed. The inspection contract will be emailed to you. Most home inspection reports are emailed to you within 24 hours after the inspection is complete and will be in .pdf format. $130 48 hour test. Continuous radon monitor. If you have small children, ask about the monster free guarantee. Click here for more details. The pricing for the optional services is with a home inspection. If you would like these inspections without a home inspection there is an additional charge. Click here to view payment options or make a payment. It is my job to give you an unbiased assessment of the home. I typically spend about four hours looking over your home, sometimes more depending on the size and amenities in the home. Your report will have descriptions with accompanying pictures of any problems or defects that I find. Big and small, I report on all of them. I will also locate any shutoff valves and provide you with general information about the home. I want to give you as much information as I can so you can make an informed decision about your purchase. I will advise you what your next step should be concerning any problem areas. In most cases I will advise you to contact a licensed contractor in the appropriate trade. It is up to you if you want to correct the items. You can choose to correct the items yourself if you feel that you have the expertise to do so. A home cannot pass or fail an inspection. The report is a snapshot of the homes condition at the time of the inspection. Feel free to leave feedback on your experience on any or all of the links below. By doing so you help me to better serve you and future customers!